The Victorian Hot Rod Association was formed in 1962 and entered into an arrangement with the Victorian Police to hold drag racing events at the unused Fishermens Bend aerodrome. Riverside Dragway was a dragstrip that was set up on the Commonwealth Aircraft Factories airstrip next to the Yarra River and behind the General Motors Holden engine plant, The Hot Rod Association held its first drag race meeting in October of 1962, About 15 competition cars turned up for the meeting along with a modest group of spectators, The most impressive on the day was Greg Goddard's supercharged Ford flathead v8 powered dragstar, Goddard did display runs only on the day, and screamed down the strip before melting a piston, which ended his day. Drag racing ceased at the aerodrome strip in 1966. 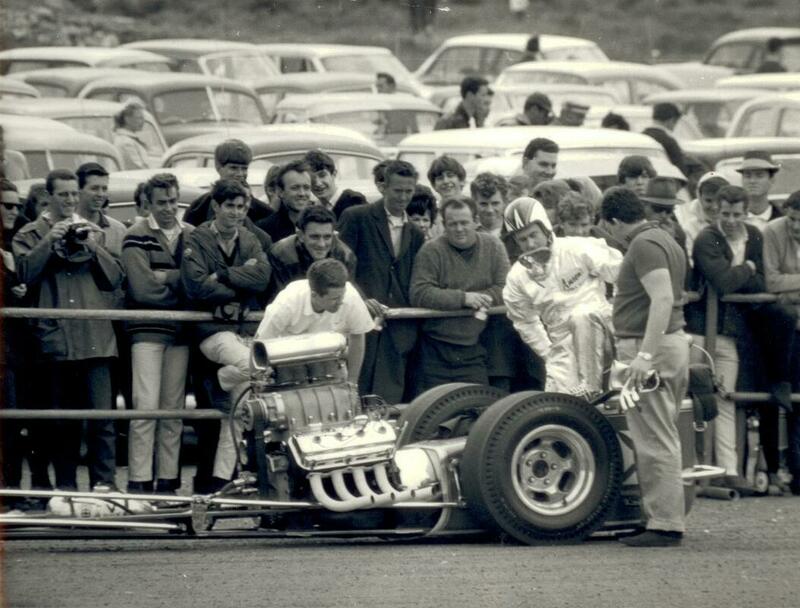 1965 - In October of 1965 Ash Marshall presented his brand new Top Fuel dragstar at the Riverside strip, The rail named "Vandal", The only USA dragstar in Australia at the time, failed to fire a shot as it had engine problems. Photo and research: David Cook. Bill Tait's Thunderball was a 48 series Holden, powered by a supercharged V12 Merlin engine, Thunderbolt was often seen doing demonstration runs at strips like Calder and the Riverside Dragway, such was the length of the engine that Bill had to drive the monster while sitting in the back seat, The major problem that Bill was faced with was, In the day there was no clutch available to withstand the 2000 hp, so the demo runs were done from a rolling start. Photo: unknown. At this point in time there is no evidence as to the track ever existing, the entire area is an industrial area as well as a karting complex.